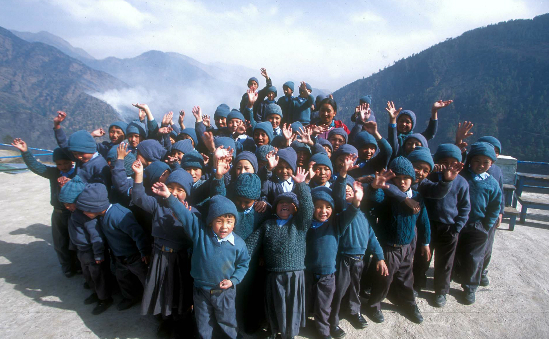 Dolma Development Fund was founded in 2003 to alleviate poverty by investing in education and sustainable businesses in Nepal. As an education sponsor for the poorest, we transform the lives of children and their families for generations to come. As an impact investor, we unleash the power of the local entrepreneur to generate jobs and pride. Our Community Partnership Model is at the heart of what we do. These partnerships bring us close to on-the-ground needs and cultural sensitivities, while directly involving local people in the businesses and programmes we help create. We live in awe of cultures leading timeless, peaceful lives according to the limits of the land. Such cultures have plenty to teach wealthier communities about true sustainability and lower-stress lifestyles. Thus our staff, investors and donors learn from our partner communities in a mutual exchange of human expertise. Dolma Development Fund is regulated by the UK Charity Commission with registration number 1150624.